I you live in a candy store, do you think you’ll eat the candy? Humans are funny creatures. We say we want “X goal” — which may be to lose weight, exercise more, save money, declutter the house, etc. — but then we do things that are completely counter to actually achieving those goals. Why? Isn’t it just a matter of setting a goal, educating yourself about how to reach it, and then using sheer willpower to get there? My opinion is that it’s not that simple or easy. If it were, we’d all be healthy, thin, and rich. In the case of health, fitness, and weight loss, most people already know what they should be doing. We have plenty of education. And we are constantly connected to a device that can tell us anything want to know, 24/7, for free. We know that exercise is good for us. We know that we have to eat fewer donuts to lose weight. We instinctively know that carrots and apples are better than Cocoa Puffs and Doritos. So I don’t think I need to sit here and go over workout programs and diets that will help you reach your goals. I don’t need to explain the how-to. What I keep coming back to is: Why don’t we do what we already know we should do? We are biologically driven to eat more and move less (despite the fact that our doctors tell us we need to do the exact opposite). Our bodies are still operating under the assumption that a famine is always on the horizon. Your body wants you to conserve energy by NOT moving, and gain fat by eating MORE. We are wired to eat…as often as possible…as much as possible…and especially if food is available. And forget about willpower. It’s not about willpower, baby. 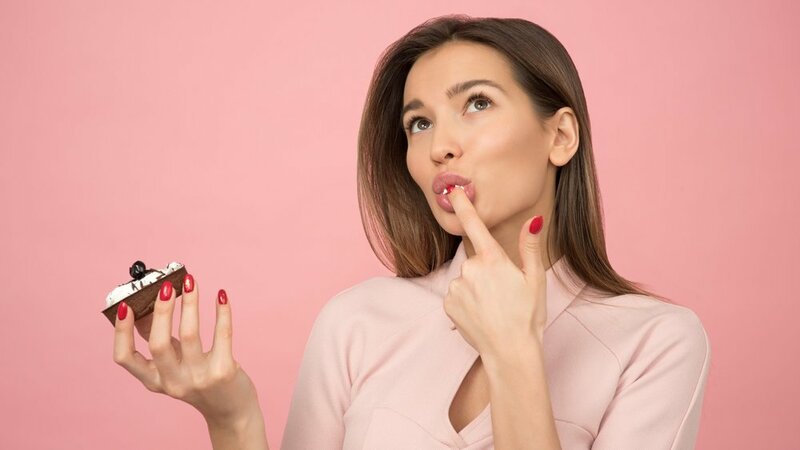 The human drive to eat is a primitive brain wiring thing…you can’t change it, and willpower will only get you so far, as I talk about in this post. If food is available — especially fatty, sugary, delicious food — we are biologically compelled to eat it. Given the fact that highly palatable foods are within easy reach at all hours of the day, one can see how our brain and biology works against us in the modern food environment. Something else that’s interesting about basic human nature: like most animals, we tend to take the path of least resistance. Whatever is easily available is what we’ll reach for. Whatever is the easiest route, is the one we’ll take. I often joke that I love observing how people park at the gym. They’ll vie for the closest possible parking space so they don’t have to walk too far to get inside…and then they’ll go pound on the treadmill for 60 minutes. Like most animals, humans are biologically programmed to eat when food is available. Hit the EASY BUTTON! Okay, so there’s no true “easy button”. You actually have to do the things - exercise and eat healthy - to be healthy. But most people make it exceptionally difficult to do the things because they don’t “fix” their environment for success! If your workout equipment is in the dank dark basement, there are clothes all over your treadmill, and your workout clothes are in the back of a drawer, you’re not going to exercise. If you have junk food in your cabinets and sitting front and center on the counter, and no healthy foods available or prepped, you’re going to eat the junk. It’s simple human nature…and it can sabotage us if we’re not paying attention. Design your environment so you stop sabotaging your healthy diet and exercise efforts! The following is a list of tips, tricks, and suggestions (that is by no means complete) that may help you create an environment that is more conducive to creating good habits and reaching your goals. The key is to make the right decisions easy and the wrong ones difficult! If you want to get out of bed earlier — to exercise, prep meals, meditate, or get caught up on work — set your alarm clock on the other side of the room so you actually have to get out of the bed to turn it off. If exercise is something you want to make part of your lifestyle, make it easy to do! Pen your workouts into your calendar. Would you skip an appointment with your boss? No? Then don’t skip the one you make with yourself. Make sure your route to/from work passes the gym. If you hate gyms or group classes, make sure you have some basic home equipment or queue up an exercise video on YouTube. You can find hundreds of classes for FREE online…so no excuses! Dust off your workout equipment and put it where you are more likely to use it. My treadmill is in my living room. Not the most attractive item in the room, but I can walk while I watch TV. If it was in any other room, I’d never use it. Have your shoes, clothes, and water bottle ready ahead of time. Nothing causes me to skip a workout faster than not being able to find my socks and sports bra in my ever-growing “clean pile”. Keep a gym bag with extra clothes in your car. Or, if you work out at home, set your workout gear on the coffee table so it’s the first thing you see when you walk in the door. Buy fun workout clothes that fit and flatter your body. Sometimes the only thing worse than the workout itself is the thought of putting on clothes that are too tight, or that you feel are “old and ugly”. Get the junk food out of your house! No excuses! If the Oreos, Doritos, and leftover cheesecake are in your house, you will eventually eat them! It’s not about never eating junk food…you are allowed to eat that stuff! But make it more difficult to acquire so you eat it less often. Replace junk foods with healthier options that are easy to grab. Put healthy options front and center on the counter and at eye level in the fridge. Get rid of the office candy dish or move it to a less conspicuous place. 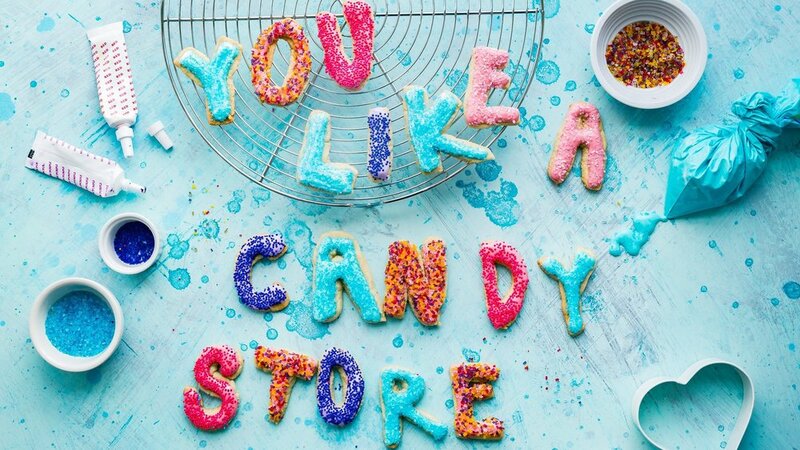 Ask your co-workers for support…they probably don’t really want to munch on candy all day either! Keep healthy non-perishable snacks in your car. Change your route to work so you don’t pass the donut shop. Eat off of smaller plates and use smaller eating utensils…or even chopsticks! Be up front with your loved ones and live-ins. The people you hang out with play a large role in your overall success. If you plan to make changes in your daily routine or eating habits that may affect them, let them know and ask for their support. You are going to do something…or nothing…so make it more likely you’ll make a healthier choice by redesigning your environment. Culture dictates that achieving a task or goal is as simple as getting out there and doing it. The Nike slogan says it all, right? To achieve big goals this would require monumental amounts of willpower and motivation. We already see that this doesn’t work. And it’s because our environment dictates, to a large extent, what we choose to do. If you are surrounded by things that are distracting or lead to poor choices, it will be very difficult to make good choices. On the other hand, designing your environment to help you make better choices, you will reach your goals faster! So if you want to improve your habits, take a look around yourself. What do you see that is sabotaging your healthy diet and exercise efforts? Now how can you fix it to make it easier to make better choices?